AR-15 6.5 GRENDEL 10" PREMIUM PISTOL UPPER W/ SUPER SLIM RAILEvery Upper Build is Test Fired Before Shipment To Guarantee Performance. We do not guarantee cycling with all ammunition due to vast differences in the quality of ammunition. 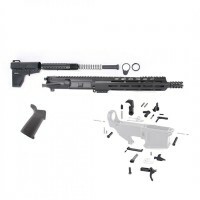 We will not warranty cycling with imported, steel cased or relo..
AR-15 6.5 GRENDEL 12.5" BALLISTIC PREMIUM PISTOL UPPEREvery Upper Build is Test Fired Before Shipment To Guarantee Performance. We do not guarantee cycling with all ammunition due to vast differences in the quality of ammunition. We will not warranty cycling with imported, steel cased or reloaded ro..
AR-15 12.5" 6.5 GRENDEL PREMIUM PISTOL KIT W/ MAGPUL GRIP & SHOCKWAVE. 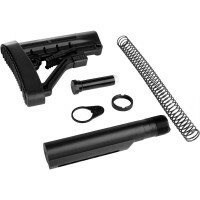 THIS KIT INCLUDES EVERYTHING YOU NEED TO COMPLETE YOUR AR-15 PISTOL BUILD EXCEPT 80% LOWER RECEIVER. 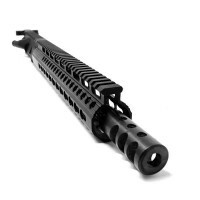 Every Upper Build is Test Fired Before Shipment To Guarantee Performance. We do not guarantee cycling with all ammunit..
AR-15 6.5 GRENDEL 12.5" PREMIUM PISTOL UPPER W/ SUPER SLIM KEYMOD RAILEvery Upper Build is Test Fired Before Shipment To Guarantee Performance. We do not guarantee cycling with all ammunition due to vast differences in the quality of ammunition. We will not warranty cycling with imported, steel case..